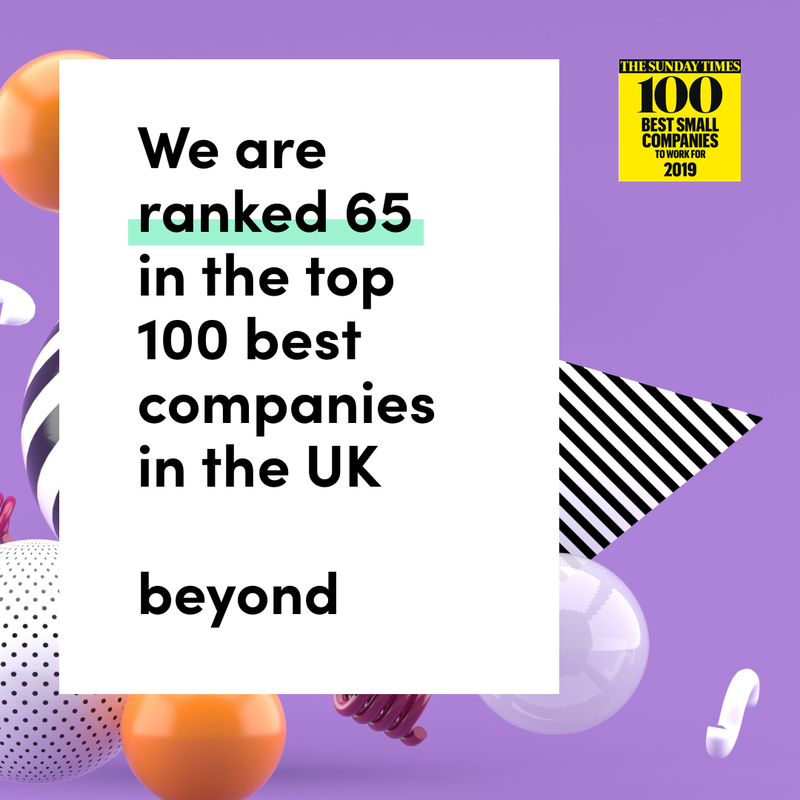 18 months ago Charlie, General Manager of our London studio, told me he had aspirations for Beyond to get their place in the Sunday Times 100 best companies to work for. 18 months later, I’m writing this article off the back of the award ceremony that saw us place 65. Why is this such a big achievement for us? For us, the honor comes from the process. 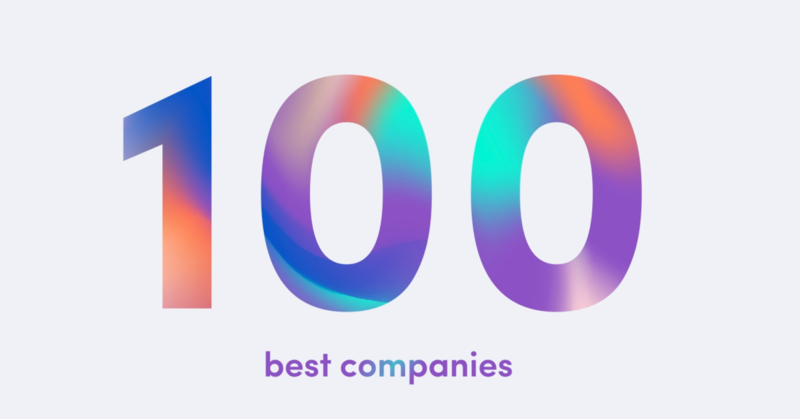 Unlike many awards that can be won with artfully written entries, The Best Companies designation involves a minimum of 60% of your staff giving their completely anonymous and unfiltered feedback on how the business operates. 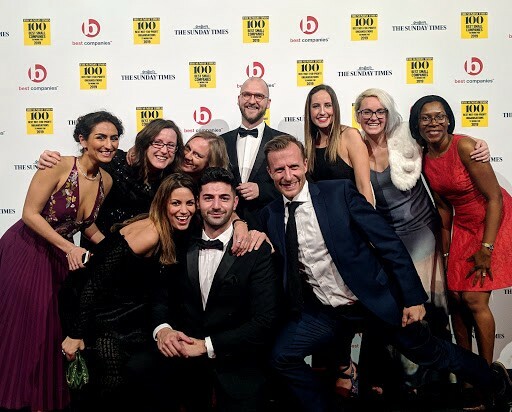 Beyond is a medium-sized creative agency, so this level of participation, as well as the chance to benchmark ourselves against those outside of our sector, gave this award such value. Creative agencies, specifically the larger giants in advertising, are known to have quite toxic cultures. Even the smaller shops can have high turnover and can’t always offer the level of flexibility for roles and working schedules as other types of organisations. Beyond sees this as something to challenge, and to look beyond the constraints of the sector, we wanted to benchmark ourselves against the best. Hence the aspirational goal of placing in the Sunday Times top 100 Best Companies. The journey for us started with a set of provocative strategic priorities, some clear metrics, and a lot of research into our people and what they wanted. We use agile methodologies within our people team, and we have product owners who guard our vision for employee experience, talent acquisition, learning and development, and diversity & inclusion. Here are some of the key ways we’ve incorporated good product management techniques in to the evolution of our culture. We make decisions based on data. From our D&I strategy, to our Wellness days programme, we regularly survey our people, interview them, and ask for feedback before launching anything. It can be easy to assume you know what’s important for people based on best practice, but no product manager would recommend a feature without data to back it up. Plans change, and so do people. We may have said 18 months ago that we wanted to achieve Best Companies, but we didn’t wait 18 months to make the steps to get there, and we certainly didn’t map them all out on day one. Over the time we experimented with initiatives, policies, and structures to support our culture, listening to our people as we tested them out. Some worked, some didn’t, but it was all in the spirit of progress. Shorter iteration means you can provide value to your customers quicker, and for our people team, the customers are our people, and our business. Everyone has great ideas for improving culture within an organisation — but they also have their own agendas. For us it’s key to take all of our product owners and stakeholders through regular prioritisation sessions using the MoSCoW method to gain alignment and clarity for our people planning. Often, the HiPPO (Highly paid persons’ opinion) isn’t the best person to prioritise the Q1 tasks, and we need to make sure any releases are prioritised to deliver the most value for the most people at the right time. This may seem like a no brainer, but at Beyond we talk about putting the human back in to HR. Often it can feel like process has been written for the benefit of the business, not the users themselves. The expense policy is one that always comes to mind! We use UX tools like experience mapping to analyse the user journey and ensure we reduce duplicated effort and remove pain points for the employees. The people team at Beyond is set up for support and collaboration over our own ease of use. We listened to our people, and sometimes that human touch makes the world of difference to a person. Keep the human at the heart of what you do, as you would keep the user at the centre of your product design. This small and seemingly insignificant point makes a huge splash. Celebrating wins is a big part of the process. If you set a strong direction, and you have a good roadmap with milestones for your team to recognise when they’re making progress, the next step is to celebrate those wins with them — like you would any client victory or successful campaign. From the small shout out to team celebrations, every win needs to be recognised. We’re extremely proud of this Best Companies designation, and hope it sends a message to other agencies (and people who want to work at one) that good culture and good work are inextricably linked. Like at any company, our people are what drive us, and we’re relentless in our quest to create a space where people feel that they can truly belong. For us this means our people have the support, guardrails, and structure in place to create their best work.